You are going to Watch Yowamushi Pedal: Grande Road Episode 8 English subbed online free episodes with HQ / high quality. Stream Anime Yowamushi Pedal: Grande Road Episode 8 Online English sub Arakita. After being pulled into the pack Onoda tries to convince Arakita to team up with him so they can catch back up to the front. 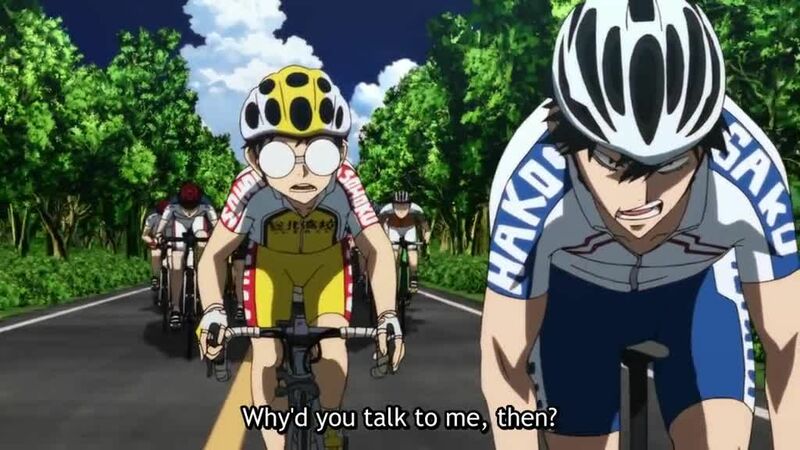 At first Arakita refuses, but after hearing how honest Onoda is he consents. Before they leave the pack though, Arakita reveals a third person will be joining them. Manami, Arakita, and Onoda work together to catch but up to and surpass their teammates.